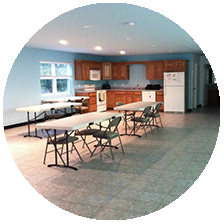 Looking for the perfect place to hold a birthday party, fundraiser, or doggie social? Check out our private rental area on the second floor of our indoor facility! 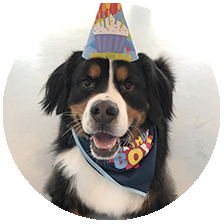 The dog parks remain open to the public, but you and your guests will enjoy the exclusive use of the party room and its private amenities, in addition to having access to both the indoor and outdoor parks. The rental fee is $100/hour. Dogs on your guest list do not pay any admission fees. Guest lists are due to us 72 hours in advance. Rentals must be scheduled in advance. All dog owners are required to present proof of written vaccinations at check in for each dog attending.